The Goudhurst Inn had a major refurbishment when Hush Heath took over the building as their flagship pub. 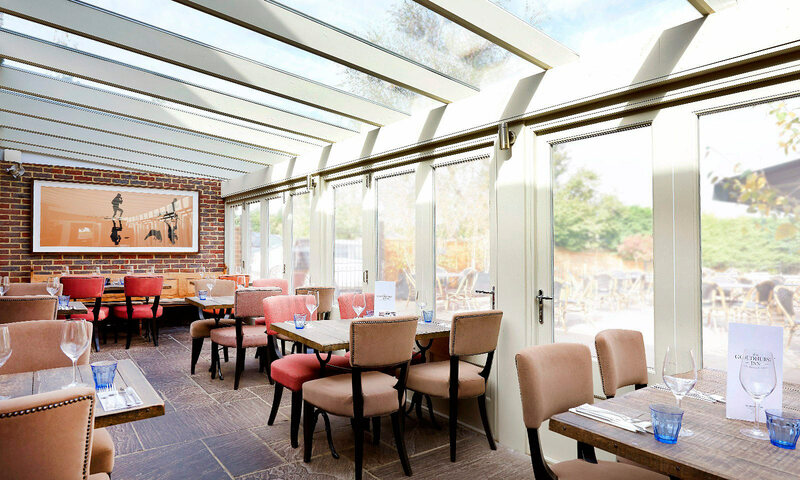 The restaurant was extended and Mounts Hill provided the orangery style joinery with glass panelled roof and large bi-fold doors which lead out to the garden. 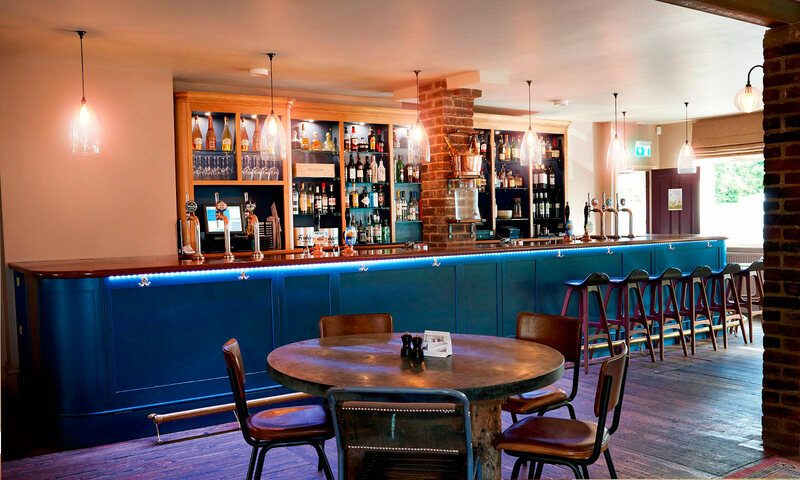 The bar itself was redesigned and built with traditional brass footrests along the bottom and a beautiful Iroko bar top built to incorporate an existing structural pillar. The storage shelving behind the bar are traditionally made shelves with painted interiors to complement the colour chosen for the front of the bar. We finished it with LED lights to the shelving and a string of LEDs tucked under the bar top to the front.